‘Big Game’ James is now a member of the Kansas City Royals. His 3.52 ERA in a tough AL East division last year says he will be ready to lead the Royals pitching staff in 2013. Shields vacated the Rays leading the franchise in mostly every pitching category associated with hurlers. With Detroit being a pretty good prediction, may the Royals be able to secure a Wild Card Spot playing a loaded schedule versus the weakest Division in the American League. 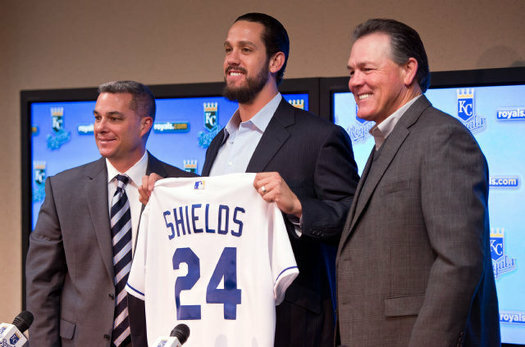 Shields made his Major League Debut on May 31, 2006, and has not stopped pitching since. He has never been placed on the Disabled List and is as consistent of a starter as there is throughout the game of baseball. Shield finished his rookie season making 21 Starts, followed by 31 in 2007, and then proceeded to make exactly 33 Starts every year since. The 6’4” Right – Hander has finished in the top ten in the league in Innings Pitched every year from 2007 – 2012 and in Games Started every year from 2008-2012. Shields also has a history of saving Bullpens by finishing in the top five in the league in Complete Games three times (leading the league with 11 in 2011) and in the top three in the American League in Shutouts three times (leading the league in 2008 and 2011). With regard to the number two Starter, Moore traded Minor Leaguer Brandon Sisk to the Los Angeles Angels of Anaheim in exchange for Ervin Santana. Since entering the league in 2005 at age 22, Santana has been another one of the American League’s more reliable pitchers, surpassing the 200-Inning mark four times and making at least 23 starts in eight consecutive seasons. Santana, who entered the 2013 season four wins shy of 100 for his career, has finished in the top ten in the American League in games started and Innings Pitched three times (2006, 2010-2011), complete games four times (2008-2011), and Shutouts 6 times (2005, 2008-2012), including being 13th among active pitchers in career Shutouts. To fill the third position in the rotation, Moore re-signed Jeremy Guthrie to a 3-year, $25M contract after being acquired mid-season in 2012 from the Colorado Rockies for struggling Starter Jonathan Sanchez. Despite Guthrie’s career 56 – 77 record, he has provided a reliable presence in multiple teams’ rotations. Guthrie has finished in the top twenty in the American League in innings pitched and games started three times (2009 – 2011) and has pitched at least 175 Innings every year since 2006, including surpassing the 200 – Inning barrier three times. Much like Shields and Santana’s ability to take the ball every fifth day, Guthrie has made at least 29 Starts every year since 2008. In the fourth slot, 27-year-old Wade Davis will be entering only his third season as a Full – Time Starter after appearing in 54 games last season in relief for the Tampa Bay Rays. Acquired along with Shields, Davis showed signs of dependability in his two seasons of starting in 2010 and 2011. In both campaigns, Davis made 29 starts and will look to provide that consistency again in his return to being a Starter. The fifth spot in the rotation came down to the closing week of camp, with Luis Mendoza winning the job. Mendoza’s only significant starting action came last year for the Royals, making 25 starts. It remains to be seen whether Mendoza can match the top of the rotation’s durability, but 2013 should provide a barometer as to his reliability plus endurance – considering his eventful offseason. Mendoza pitched in winter ball, earning Caribbean World Series MVP honors, and represented Mexico in the World Baseball Classic earlier this year. Moore made it known of his wariness regarding Mendoza’s 113-pitch semifinal performance, in the Caribbean Series, but Mendoza could put those concerns to rest, along with establishing a reputation as a durable arm, with a strong, consistent season. It is not just the starting five of the rotation that have provided durability for the Royals, as both Bruce Chen and Luke Hochevar, in the bullpen but the most likely fill-ins for the rotation if needed, have proven capable of handling a workload in their time in Kansas City. Chen tied for the league lead in 2012 by starting 34 games and compiling 191.2 IP. Hochevar, despite his 38 – 59 Career Record and 5.39 ERA, finished in the top ten in the league in 2009 and 2012 in Complete Games and was tenth in the league in games started in 2012. Over the past two seasons, Hochevar started 31 games and threw 198 Innings in 2011 and started 32 games in 2012 with 185.2 IP. While this ultimately means little without corresponding results, it is transparent that in Moore’s attempts to improve the pitching in 2013, he placed discernible value on durability. The ability to eat Innings and take the mound every fifth day as scheduled has a recognized value in baseball. And particularly with the way this Royals team is assembled – with the Bullpen figuring to be a position of strength – the longer Starters can go, the fresher the bullpen’s multiple power arms can remain, potentially providing a formula for success. 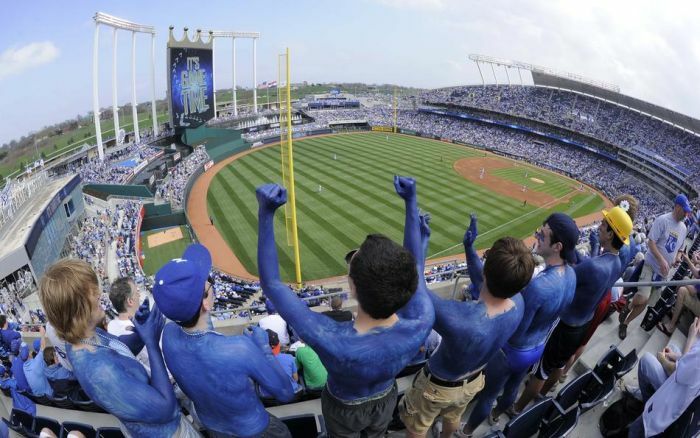 The fans have seen back to back great pitching performances at Kauffman Stadium on Monday and Tuesday – featuring Games Started by Jeremy Guthrie and Ervin Santana. The team Pitching ERA stands at 3.62 (5th best in the A, plus they have fanned 75 hitters in 69.2 Frames Pitched. The Strikeouts are good for best in the American League. Last campaign, Kansas City’s staff finished in 10th for AL ERA – and 6th in Strikeouts. 9 of their 12 pitchers have ERA’s below 4.50 – and four relievers have yet to surrendered a run yet. 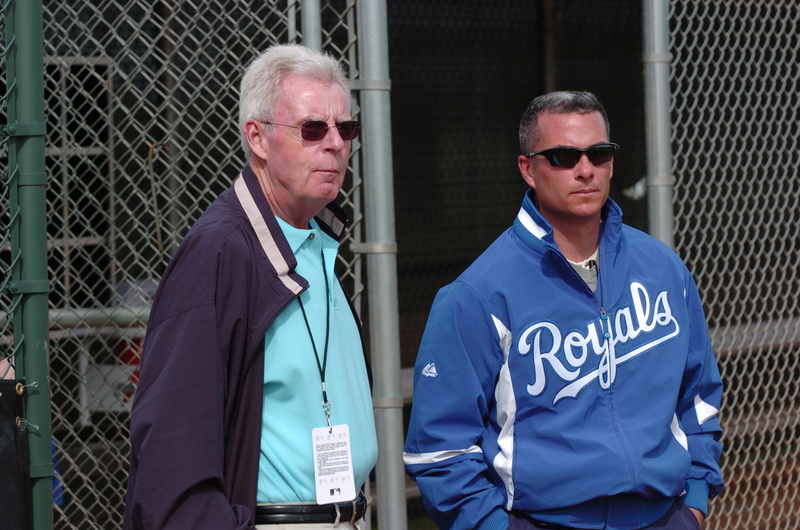 A big thank-you goes out to our ”Royals Correspondent’ Michael McGraw. 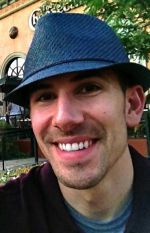 Michael was born and resides in Pittsburgh, Pennsylvania and graduated from Duquesne University with a Bachelor of Arts in English, Media Communication, and Sociology. After working in management for a communications company, he is now attending the Duquesne University School of Law. Posted on April 10, 2013, in The Rest: Everything Baseball and tagged 1985 World Series, 25 man roster Kansas City Royals, @quickdraw29 on twitter, aaron crow, al central, American league, angels, billy butler, brandon sisk, brett hayes, bruce chen, carribean world series, christian colon, cy young, dan wheeler, Danny Duffy, Everett Teaford, Francisley Bueno, greg holland, J.C. Gutierrez, james shields, Jeremy guthrie, Kansas city, kansas city royals, kansas city royals payroll 2013, kauffman stadium, louis coleman, luis mendoza, luke hochevar, michael mcGraw, ned yost, oakland athletics, salvador perez, tampa bay rays, tigers, tim collins, tommy john, wade davis, wil myers. Bookmark the permalink. Leave a comment.